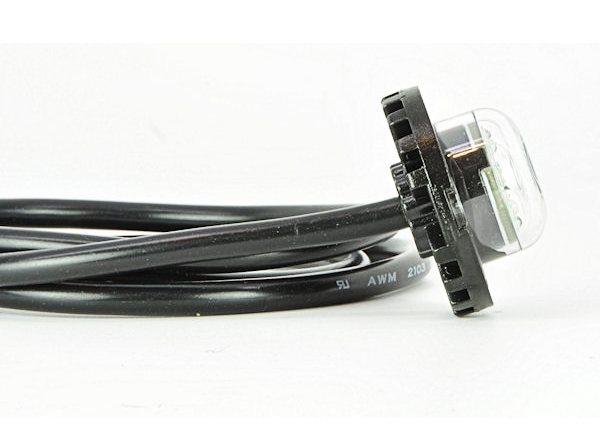 The newest addition to our "Undercover LED Series" is here. 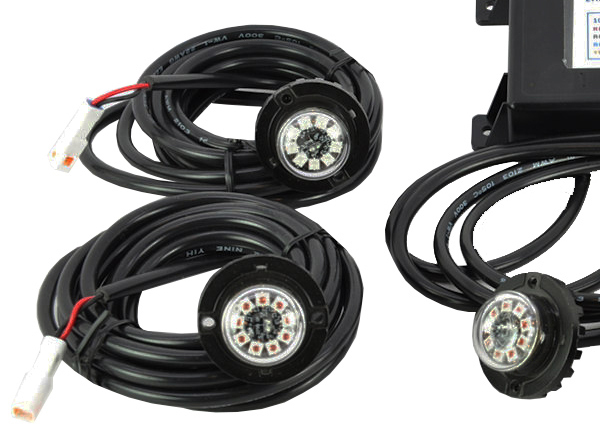 The E94 Undercover LED Kits feature four individual Undercover LEDs running off a single custom LED Flasher. This kit eliminates the confusing "how to sync", the "what wire does what", and "how do I get all of my lights to switch flash patterns at the same time" questions found with many of the lights available. 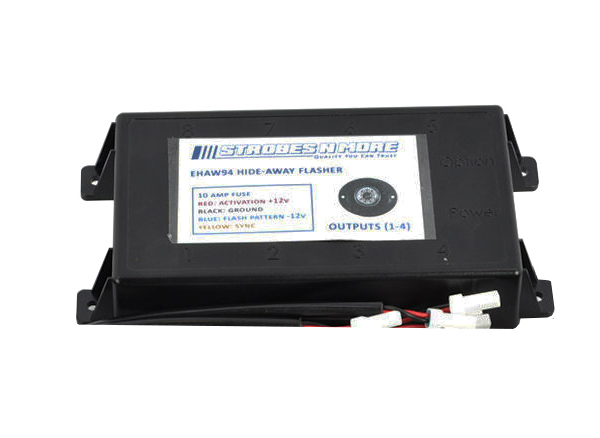 This kit will also save you a great deal of money by eliminating the need to pay for four separate flashers! 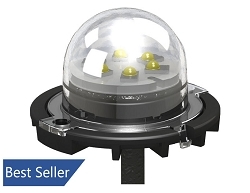 Our E-Series hide-away LED kits are the brightest, most reliable, and smartest kits sold today. 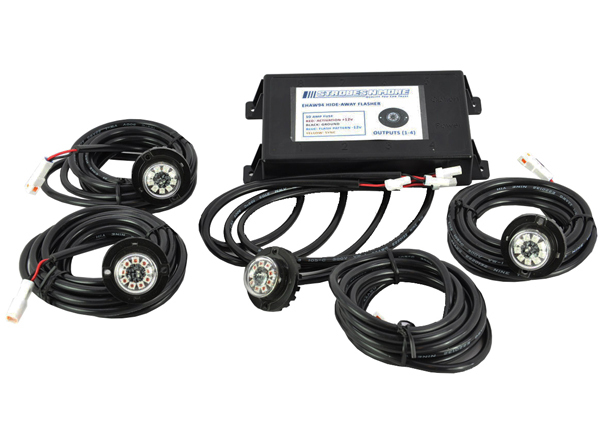 They are the perfect solution for undercover vehicles utilizing the latest in LED technology. 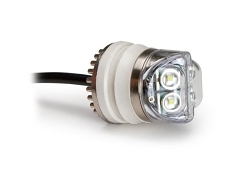 Each LED in the E94 Series LED kit features 9 incredibly bright Next Generation LEDs. 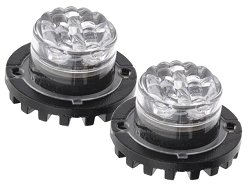 The E94 Series kit utilize a single flasher with 32 built in Flash Patterns and can be fully synchronized with other E-Series light heads. Our E-Series are fully encapsulated, which makes them 100% waterproof and vibration resistant. Designed and engineered in the USA by professionals, for professionals. The E-Series are designed for primary warning, not auxiliary or secondary warning like so many other similar lights sold today. 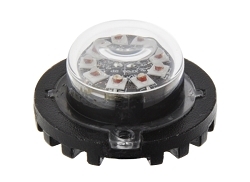 The E-Series lights offer greater flash pattern selections, superior light output, synchronize capable, in an easy-to-install, undercover design. Bought these during Christmas special and they were simple to install and very bright. Bright easy to install took about two hours got this the week after Christmas. 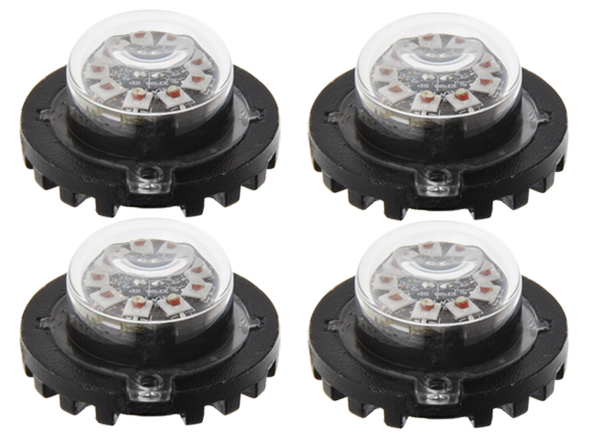 No where else can you find a four head led hide-a-way kit for the price and with the color options and all water proof. Easiest kit I have ever installed and bright. Easy installation with nice choice of patterns.